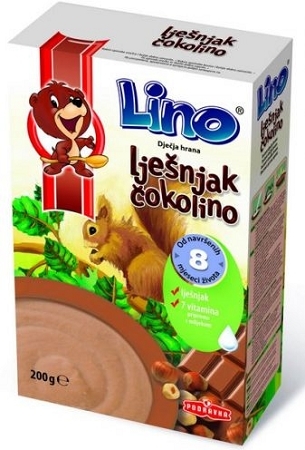 Lino Cokolino - chocolate cereal flakes, enriched with vitamins. 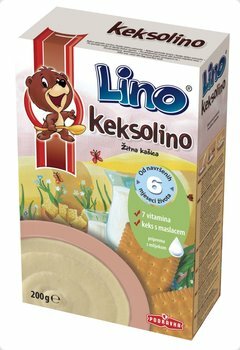 Suitable for children of 8 months of age and up. No cooking required. Enough for 8 servings. Storage: Store in a dry place at room temperature. After opening, best used within three weeks. 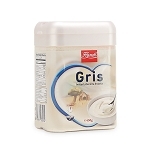 Shelf life: Shelf life of the product is twelve months. 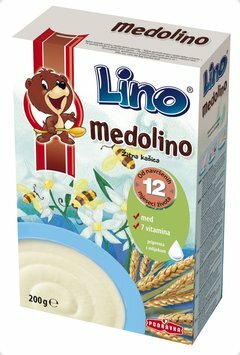 Best before date is printed on the bottom of the packaging. 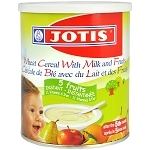 Directions: Add 5 heaping tablespoons (30 g) of flakes into 200 ml of cooked milk (cooled to 50 oC). Always prepare a fresh meal! 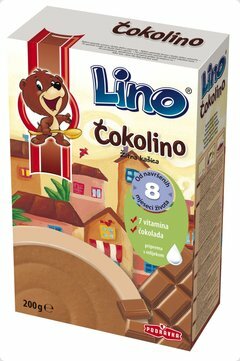 Cokolino can replace one milk meal.